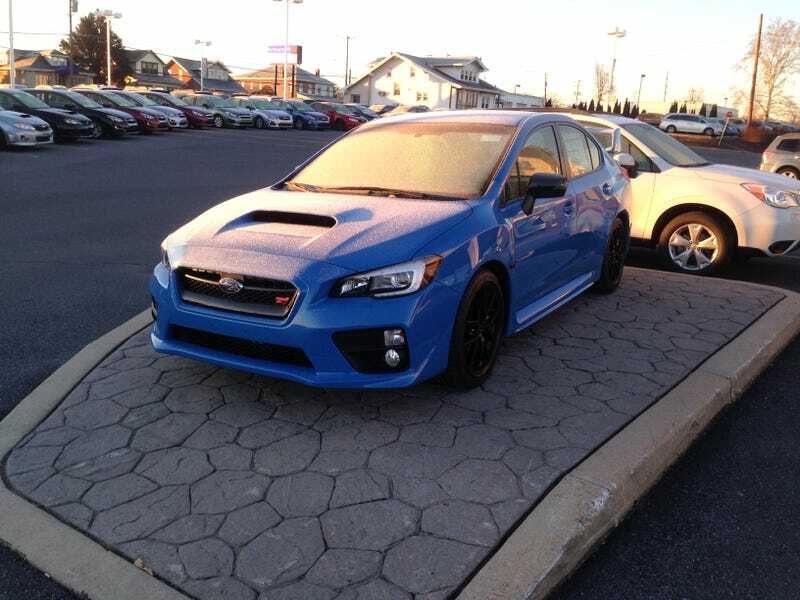 Hyper Blue STI, just a little frosty. I finally saw one in person. I like it. I also found this 2010 Forester (2.5X Premium, Satin White Pearl), with interesting wheels. These are the factory wheels from 2009-2010 (also found on the 2007-2008 Forester XT), painted metallic black to reveal some of the finer details. It appears the lips have been polished, too. While not my style, I like how they turned out. I think it would look better with the center caps painted black, but that’s just me.